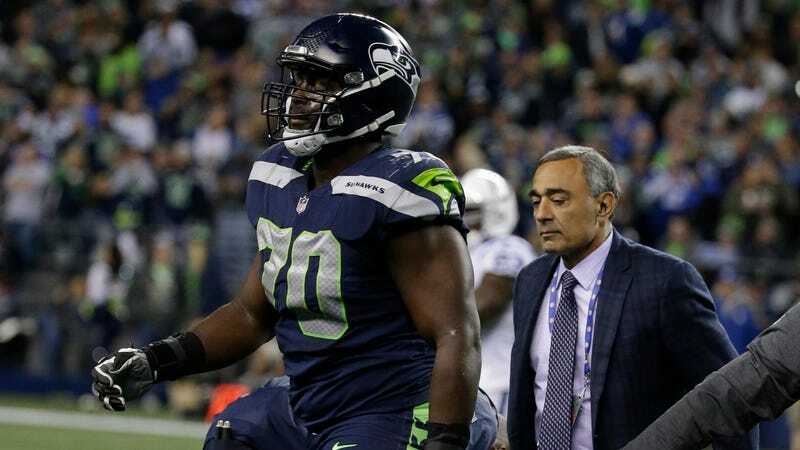 Odhiambo initially tried to continue playing after the hit; head coach Pete Carroll said after the game that the hit “knocked the wind out of him.” Because Odhiambo had trouble breathing, however, he left the field and went to the hospital. The lineman is in stable condition, Carroll said. Odhiambo, who was drafted in 2016 by the Seahawks, has started all four games this season. The fact that a football player could experience an injury of this severity and not immediately leave the game is both astounding and terrifying.